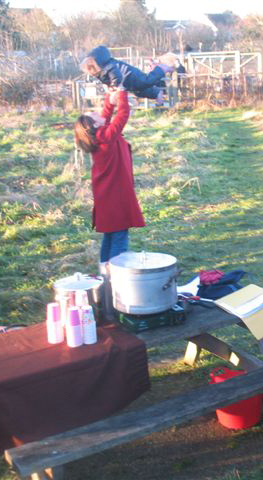 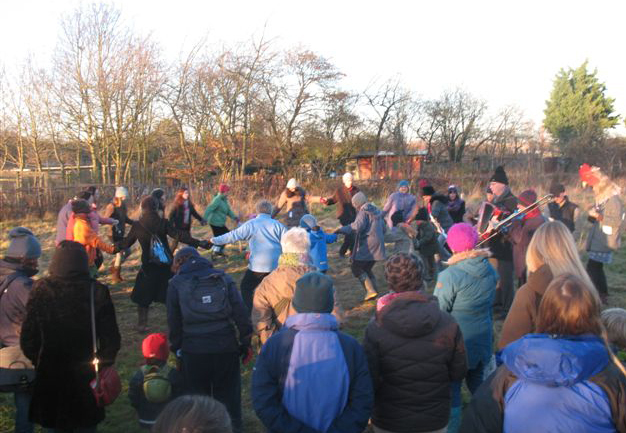 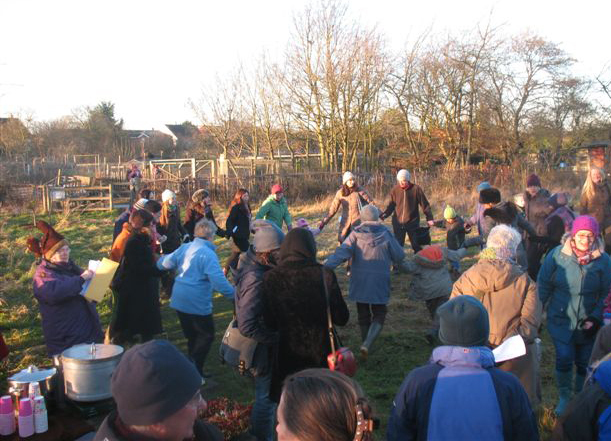 It was a beautiful, crisp, cold day for our Wonderful Wassail. 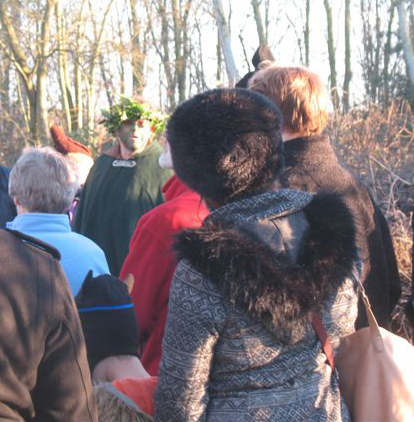 We had musicians, singers, dancers and a Green Man. 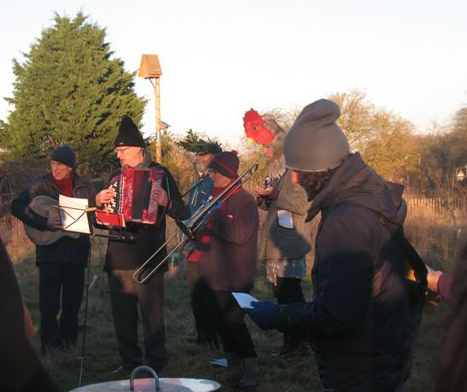 A big thank you to Ursula Stubbings for her work on a dance and for bringing along a good sized group of musicians who made the whole event really enjoyable. 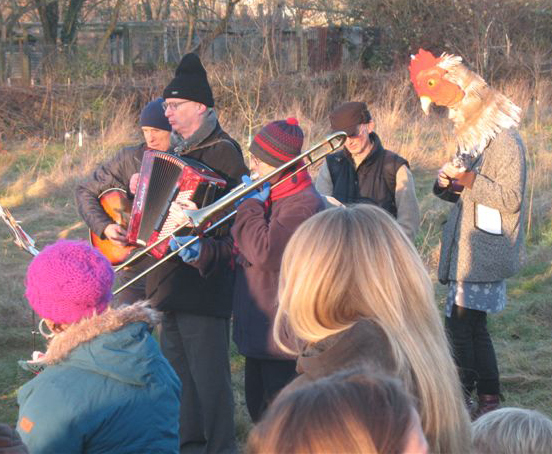 The trees were decorated with slices of toast dipped in the wassail cup and everyone enjoyed a cup of hot mulled apple juice which kept the bitter cold at bay.